A5 folder. 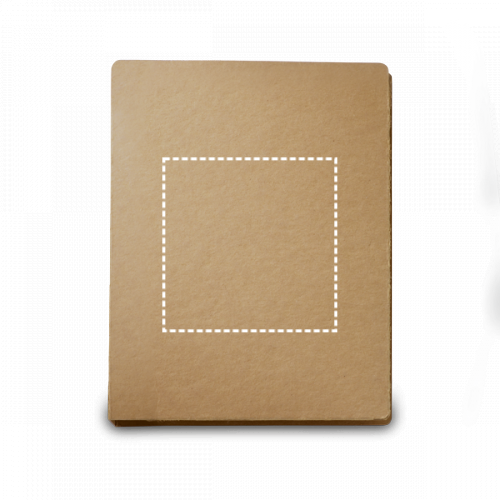 Cardboard: 450 g/m2. 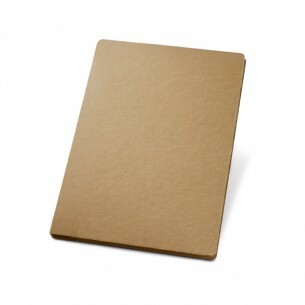 Notepad: 20 recycled plain sheets. Ball pen included.